Wool. Great for sweaters, socks, blankets, and…preventing blisters? That’s right, blisters! Wūru Sports Wool is a highly effective way to keep you blister-free on all your TrailblazerGirl adventures. Wūru (pronounced woo roo) is the Māori word for wool, and not surprisingly, this wool hails from New Zealand, known for having quality wool and wool products. 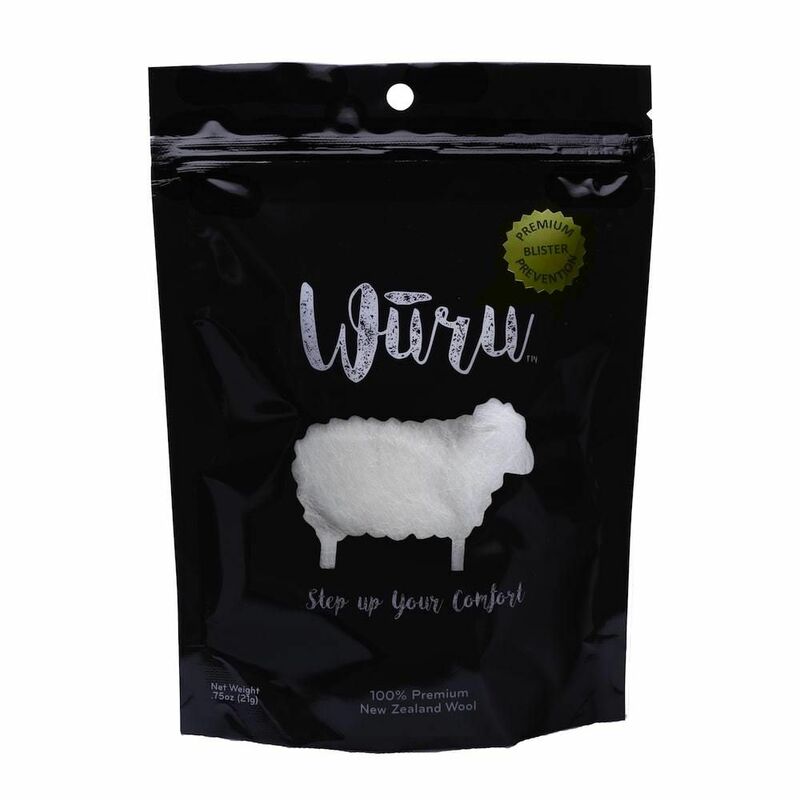 Specially washed and finely combed, Wūru is super soft, fluffy and rich in lanolin, making it ideal for providing cushion and protection for your feet by reducing friction and pressure. Unlike adhesive bandages or wraps, Wūru is breathable and wicks moisture. Here’s how it works: just pull off a generous portion of the wool; place it in areas that you think you’ll have problems; carefully put on your socks (no tape necessary! ); and get ready for all day comfort! Whether it’s hiking, running, skiing, cycling, or any activity, be sure to use Wūru Sports Wool to keep your feet happy and blister-free!